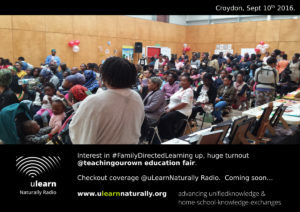 Insights from and about Family Directed Learning (home education). 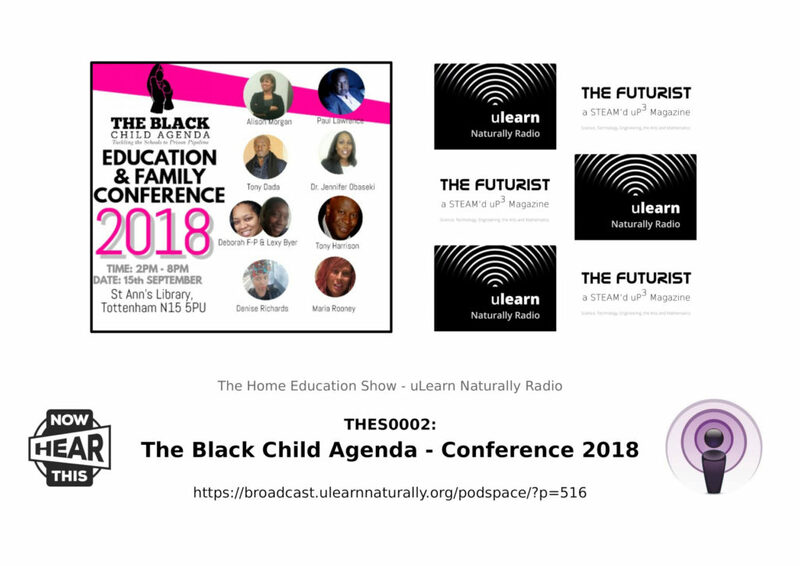 The Black Child Agenda Conference came to TOTTENHAM on Saturday 15th Sept 2018. It was a jam packed day filled with #facts #solutions #rants #upliftingtalks and was #unapologetic on issues of education, social care, street violence, stop and search, your legal rights on criminal matters, societal injustice, disproportional risks of exclusion, facing discrimination, the school to prison pipeline and much more. What practical steps can you take to avoid these issues? Listen carefully to this podcast for rare and unapologetically frank talking. Breaking down the Schools to Prison Pipeline, How to successfully challenge your child’s school when they are in the wrong. Looking for progressive ways forward? 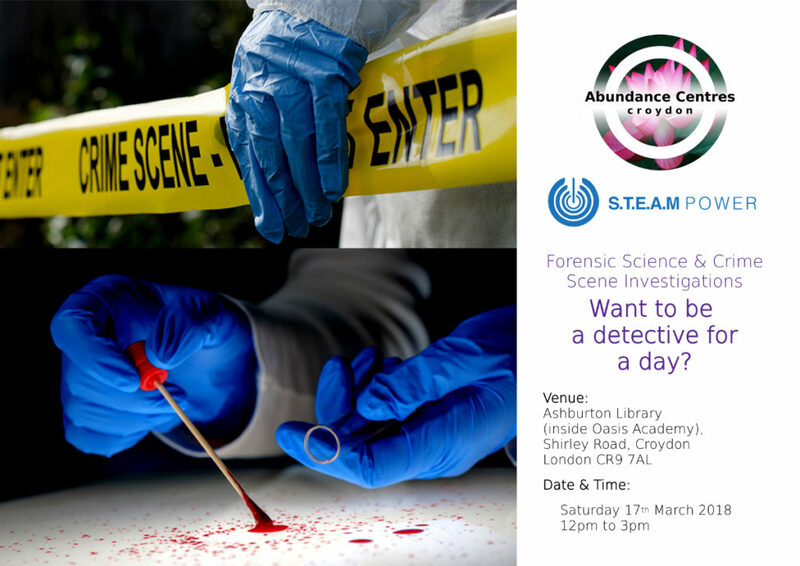 CSI Croydon was a day of forensic science learning for the whole family. 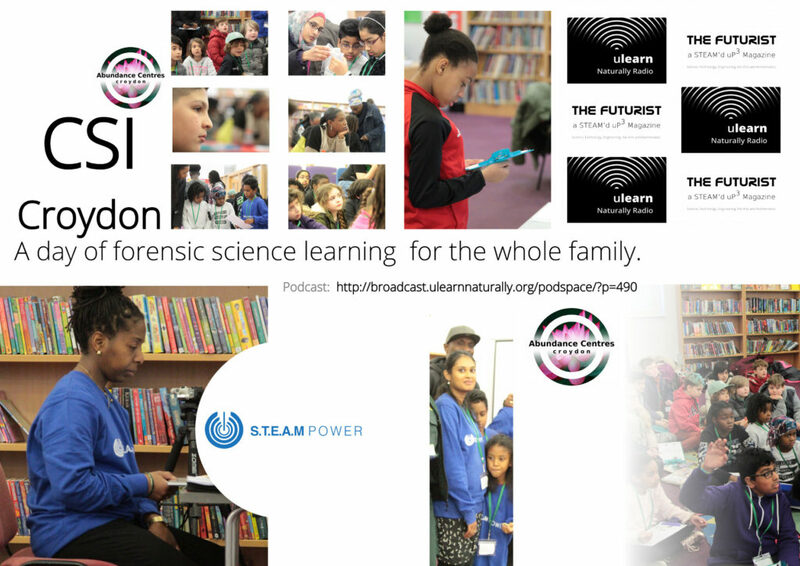 Hear this full podcast of the whole event, it was wonderful. 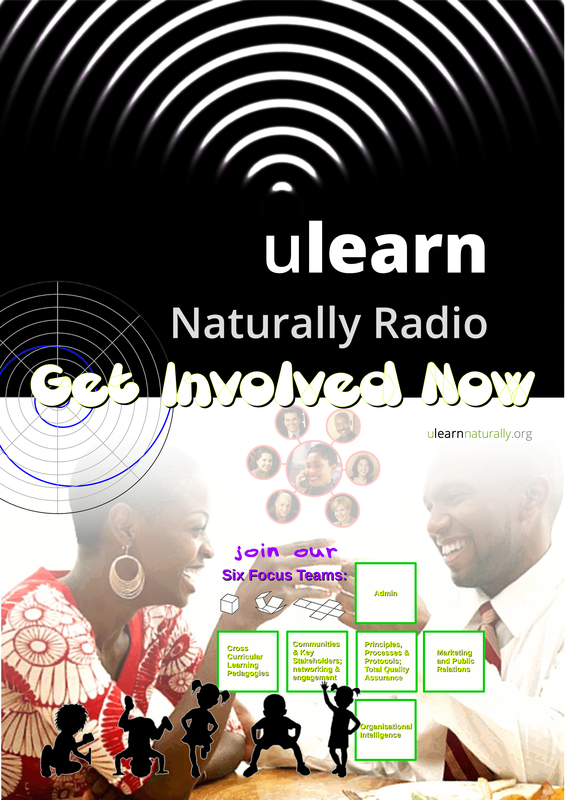 Do you have a school aged child of African or Caribbean descent? 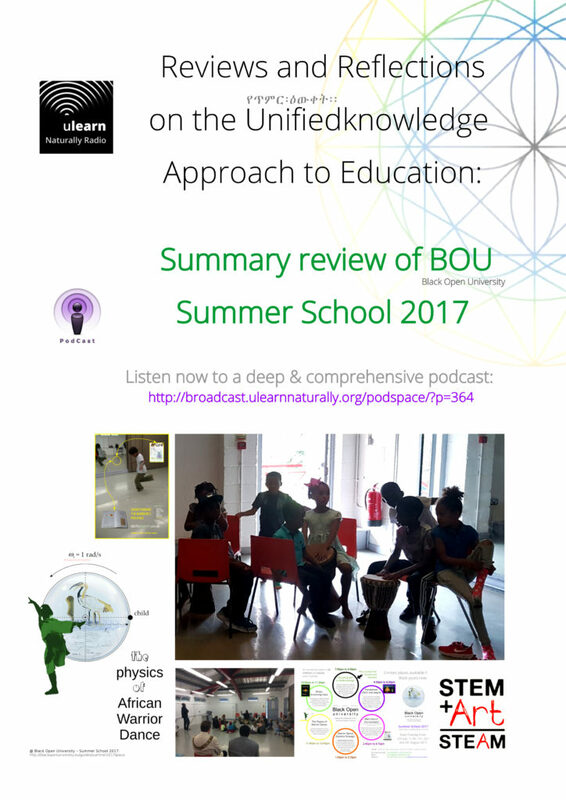 Are you concerned about the education and care they are receiving in school? Did you know you CAN TEACH YOUR OWN children full time or around their schooling? 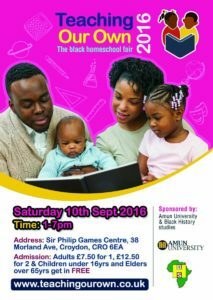 This was the second Teaching Our Own – The Black Homeschooling Fair, which took place on Saturday 10th Sept 2016 at Sir Philip Games Centre, 38 Moreland Ave, Croydon, CR0 6EA, Time: 1 – 7pm. It’s becoming apparent that the education system isn’t working as well as it should. Class sizes are increasing, governments are pressuring schools, schools are pressuring teachers, teachers are pressuring our children and our children of African or Caribbean descent are achieving lower grades than other children in many areas, without their cultural greatness being taught to them. 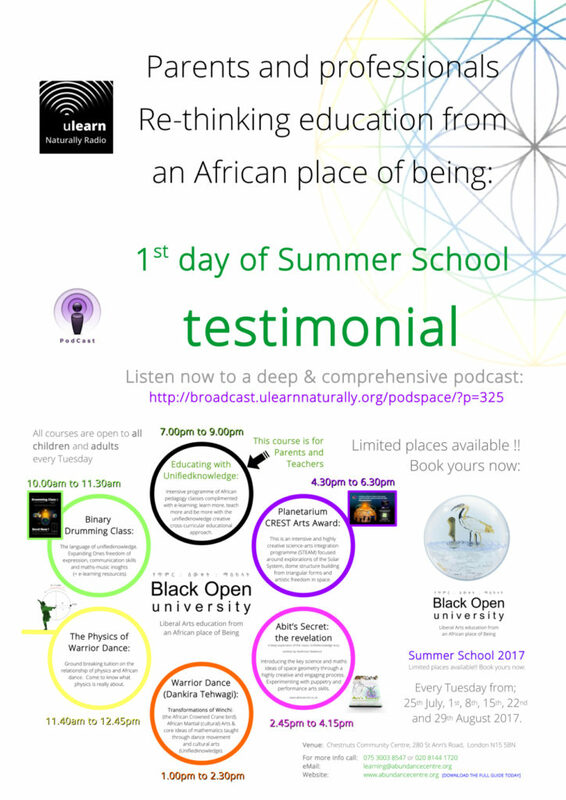 Whether you want to take your child out of school and teach them full time or you want to know what you can do with them at home around their schooling, this is the event for you. 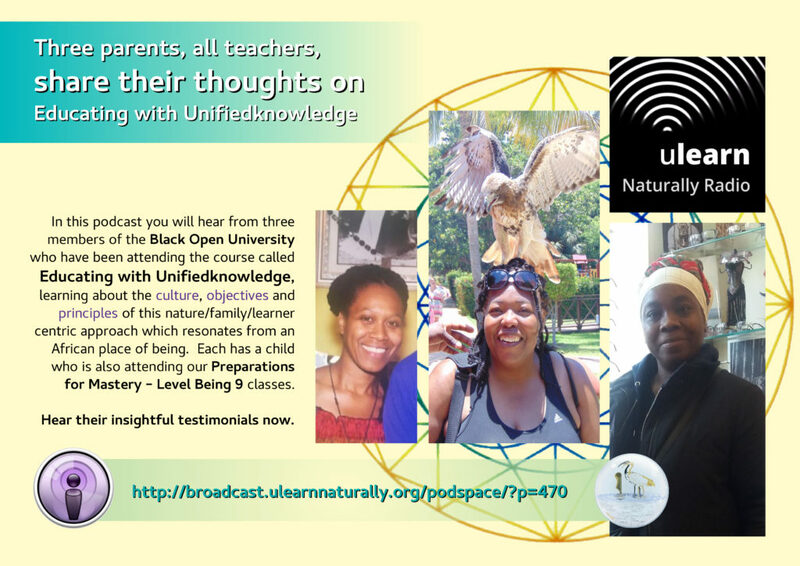 – Talks from parents & educators on the downfalls of the school system, benefits and ‘How-to’s” of homeschooling, plus a panel of past and present homeschooling families your can hear from and ask questions to. – Children’s activities – There’ll be activities for children on the day, plus a bouncy castle. – Healthy Food – Delicious health conscious foods and drinks will also be sold on the day.